Mill House Leisure Centre Hartlepool. 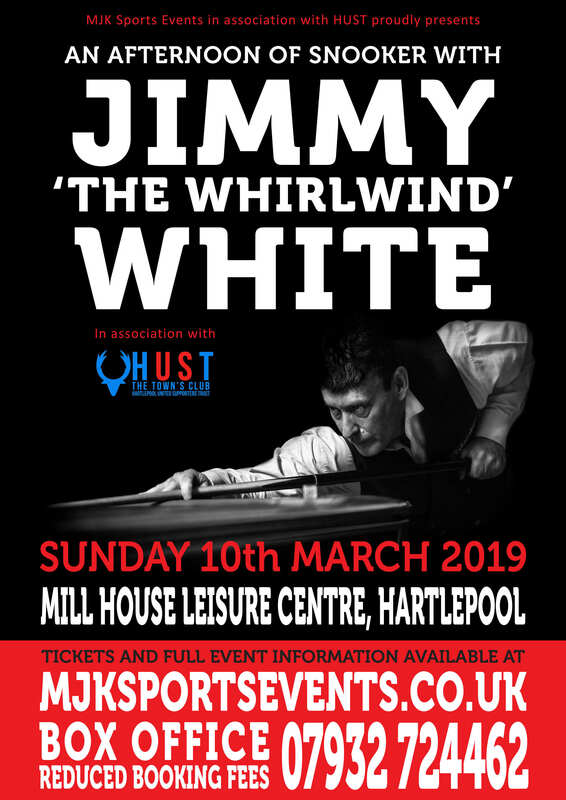 March 10th 2019.
the ONE and only WHIRLWIND, JIMMY WHITE. WHIRLWIND himself up close on the table. event will be the same. FRAME OF SNOOKER WITH JIMMY WHITE. £149.99 INC 2 TABLE SEATS TO THE EVENT. A FRAME AGAINST JIMMY A SNOOKER CUE PERSONALLY SIGNED BY JIMMY. Dress code applies.